Just a quick and simple recipe for you, today! 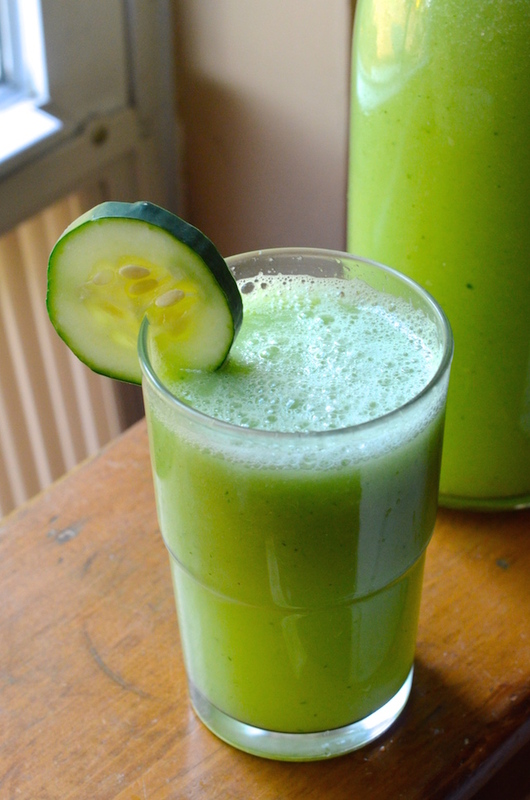 Cucumber Lime Agua Fresca is a cool drink made from pureed cucumbers, lime juice, and a bit of sugar. 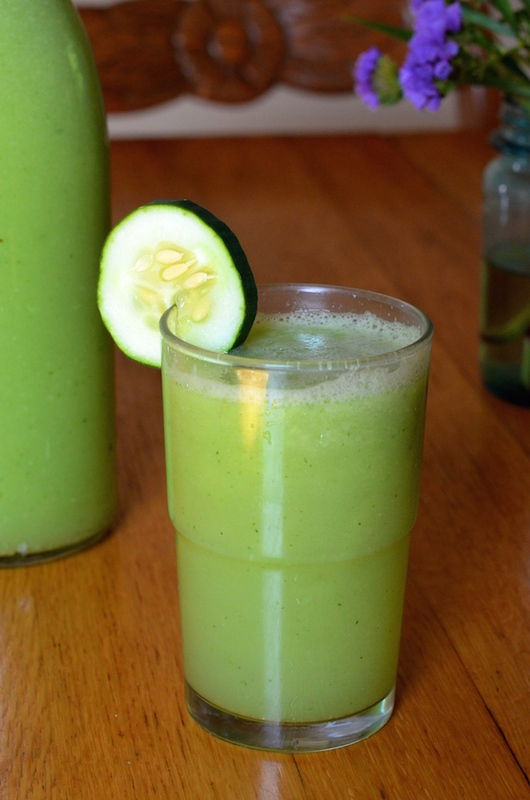 It's kind of like a cucumber lemonade, except the fresh cucumber is the predominant flavor. It's spectacular and just the thing for hot summer days. I love the concept of aguas frescas, but often find that they are far too sweet for my tastes. I prefer to add just a small bit of sugar and let the fruit flavor shine through. Also...I need to be honest with you. Strain through a fine mesh sieve to remove any remaining seeds or solids. Taste and adjust seasoning, then serve over ice.